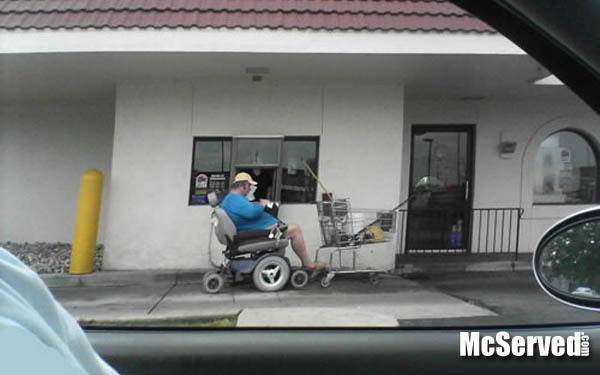 Motorized Chariot | McServed: Getting Served McDonalds Fast Food Funnies, Laughs and More! He thought he would take the old rascal/Hoveround for a spin. After polishing it up, making it look real nice he thought it would be a great to show off to the drive thru babes. Oh hell, we all know he’s going for a salad.